OMA is delighted to announce our inaugural venture into international traveling exhibitions. California Dreaming: An International Portrait of Southern California is a juried exhibition with approximately 50 selected artworks that will travel for exhibition to three venues. 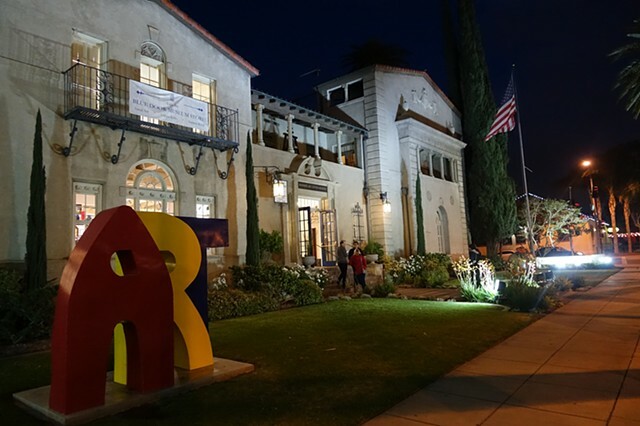 FINAL OPENING at Riverside Art Museum (RAM) under the leadership of Drew Oberjuerge, Executive Director, April 21 - July 2, 2015. Artists worldwide were invited to creatively interpret Southern California’s iconic culture. Contemporary artists submitted nearly 900 two-dimensional artworks of various medias that broadly reflect the changing culture and lifestyle of Southern California. Clearly, this exhibition will raise the fundamental question: Is the “California Dream” still alive and thriving, or has the past half-century of population growth and development seriously affected our popular and romantic notion of Southern California lifestyle? This juried exhibition of original work is an exploration of the popular fascination with the celebrated lifestyle, influences, and environs of Southern California.